One of the most underrated comedy performers alive today is Rowan Atkinson. He brings something to the screen that I haven't seen captured by another performer in a long time. He envokes Charlie Chaplan, focusing far more on physical comedy rather than spoken jokes. It's something we don't get to see all too often nowadays, but it is alive and well with Atkinson. I am a huge fan of his work with Mr. Bean, and I always love seeing him as that character. However, he has another franchise with Johnny English. He plays an incompetent spy that is very much a spoof of classic British spy movies like James Bond. 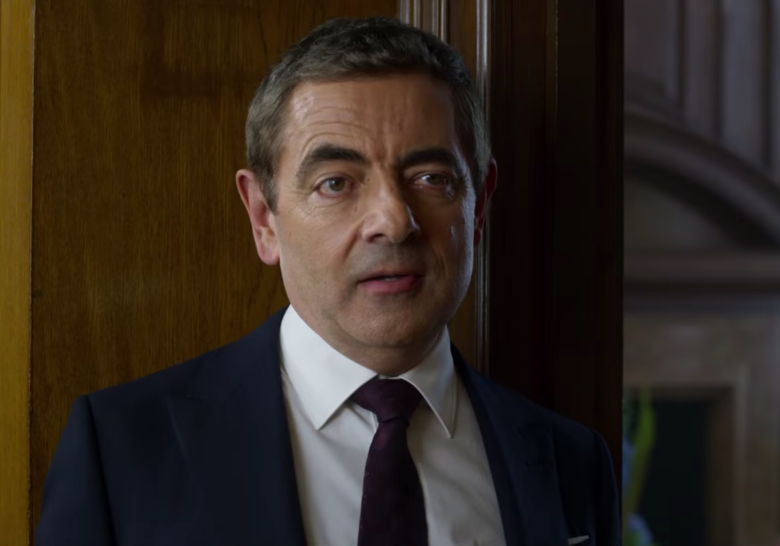 While I don't think the Johnny English movies are nearly as good as the work Atkinson does with Mr. Bean, I do always get a kick out of seeing Atkinson doing his thing on screen. However, until very recently, we didn't even know they were doing a third Johnny English movie. Out of nowhere, we learned that they had already written the script, brought on a director, cast the film, and were currently shooting. And we hadn't gotten a single whiff of this beforehand. That suddenness caught my interest and, while I'm not counting down the days until the movie is released, I'm definitely interested in seeing the movie. And now we have our first trailer for Johnny English Strikes Again, which opens in theaters on October 12. This trailer is more of the same. If you're a fan of the previous movies, and the style of humor they go for, then you're going to love this trailer. If you can't get into it, then this trailer is going to seem rather unbearable. I'm sort of split on it myself. I think the humor in Mr. Bean is smarter and a little more witty than that of Johnny English. The humor of Johnny English is just kind of dumb, which can be really funny and entertaining in of itself. I enjoyed the first film, but didn't really care that much for the second one. So I'm not really sure how this one is going to turn out. I really liked the beginning of the trailer, with us meeting up with Johnny English all these years later. However, once it got into all the jokes, it didn't feel like anything new. The VR gag did make me chuckle, but nothing else really phased me. The phony suaveness of Johnny English is what makes me laugh more than the actual "stunts", such as the zippers getting jammed or Johnny getting the little umbrella stuck in his nose. This film does have the potential to have some really great moments, however, if I had to bet money, I think Johnny English Strikes Again will be exactly like the previous two films. If that's your kind of humor, I think you'll get a kick out of it. But if these movies just make you roll your eyes, I don't think this third one is going to suddenly shift gears. What do you think? Did you like the second trailer for Johnny English Strikes Again? Are you planning on seeing the film? Leave your thoughts in the comments section below.